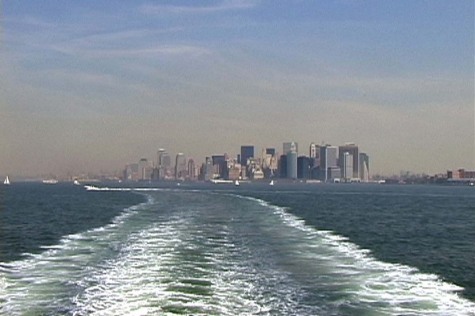 Description: The first shot is the view of Manhattan from the Staten Island ferry. Then we spot a hawk in a tree above where we are planning to hold the workshop. Then we lead the public in a spatial awareness exercise.